Next week Campos Neto will preside over his first meeting of the Monetary Policy Committee to determine the country's benchmark interest rate. RIO DE JANEIRO, BRAZIL – Brazil’s new Central Bank (CB) President, Roberto Campos Neto vowed to keep inflation at controlled levels and promote the democratization of the financial system. Campos Neto also defended a formal autonomy of the Central Bank. Brazilian Central Bank’s new president, Roberto Campos Neto, speaks to reporters on Wednesday, photo by Fabio Pozzebom/Agencia Brasil. “In addition to working to keep the gains, we need to move forward. 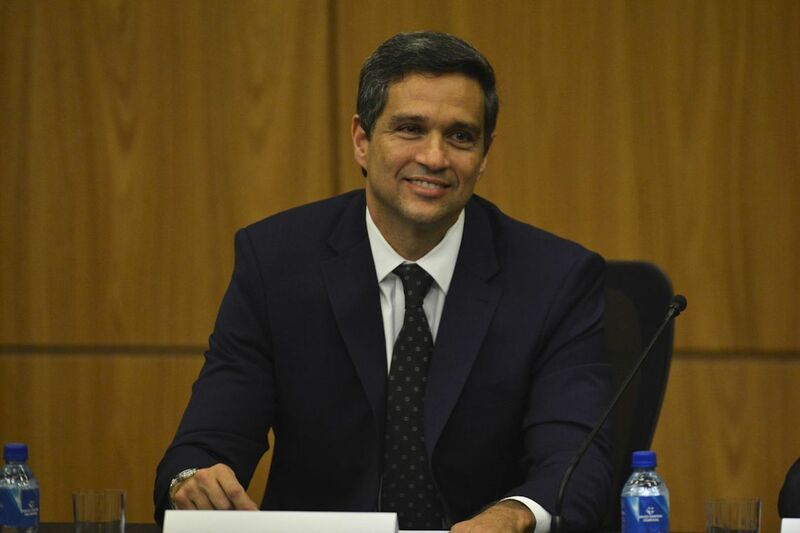 And in that sense, we believe that an autonomous Central Bank would be better prepared to consolidate recent gains and make room for the new advances that the country needs so much,” said Campos Neto in his first speech as CB President. The autonomy of Brazil’s Central Bank is currently under discussion in the country’s Congress. Under the proposal, Brazil’s President could not interfere in monetary policy. The newly-appointed official also stated that he will work to ensure that the CB fulfills two main missions: to maintain the purchasing power of the currency through low inflation and a sound financial system. Next week, Campos Neto will preside over his first meeting of the Monetary Policy Committee (Copom), which sets the benchmark interest rate (Selic rate). Currently the Selic is at 6.5 percent per year. According to Campos Neto the government will work to expand the private capital market, democratize the financial system and improve the population’s financial education, stimulating participation of all in the market. Campos Neto also defended the reduction of government’s role in the financial system and the development of the private sector. “We want to make the market more open to foreigners, with a possible convertible currency that will serve as a reference for the region,” he said.